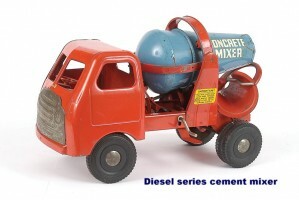 Could you tell me where I could get a double tyre for my Diesel series Fire ENGINE???? Hi there Frits, don’t know anyone in the UK who just deals in spares for the Tri-ang pressed steel range of vehicles but you could do worse than contact the Tri-ang Society which is easily accessed through the web. I think I’m right in saying that these guys do publish a spares directory but whether it includes any or all of the items you require I couldn’t say. Only other option is to keep checking the internet auction sites where you often find ‘wrecks’ sold for the spare parts. If anyone knows any better info just drop me a line. 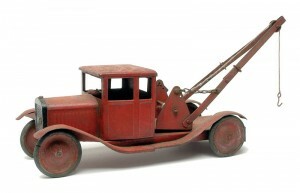 I dont really have many spare parts im afraid, as I advised Frits in the post above I can only suggest keeping an eye on the usual places for cheap auctions selling any toys as spares. If I do get hold of any I will let you know. Many Thanks. 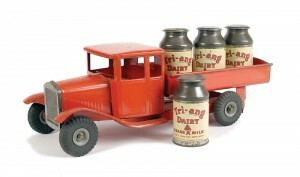 i am a french collector i recently found 5 pressed steel models by triang in mint condition for 4 of them and 1 very nice .1 tanker Shell red 15 inches long 2 dump trucks red and blue 10 inches long and 2 trucks with canon red green and black 10 inches long. i do not know the prices of them and i would like to sale them.can you help me ? Excellent info narrowed down the red tip up lorry to a Bedford series 1944-1956 found in the shed today, also Jones crane sadly no wheels just the top. Not sure how to sell these on for a sensible price to a lover of this model and or for parts? Hate to say it but probably the best bet is the dreaded Ebay site with all its shortcomings its still by far the largest audience your items will get. Yes I know it will cost a fair bit to post but you can always try ‘collection only’, it will limit your market but it does away with the hassle. 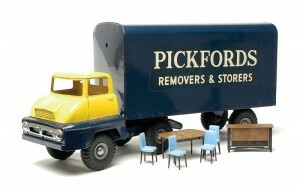 Unfortunately for you the items are not hard to come by in good condition but spares are quite often required, especially truck spares. 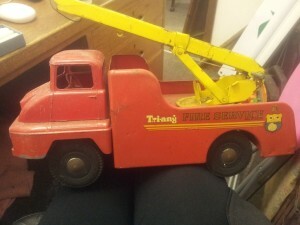 Hi, im after some more information on a tri-ang fire engine i have i do not seem to be able to find the exact one. i wondered if i am able to send a pic accross for some idea? Hi Steph and thanks for bearing with me. Received your fire engine pics the other day and have included one in this post so everyone knows what we are talking about. 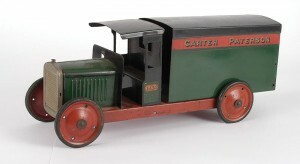 This pressed steel fire engine came from the Tri-ang Thames Trader series where all the vehicles were based around the actual Ford Thames Trader trucks which were introduced in 1957. 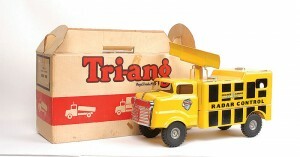 The Tri-ang range was produced from 1958/’59 until 1966 and included around 15 models some of which you can see in my listing. 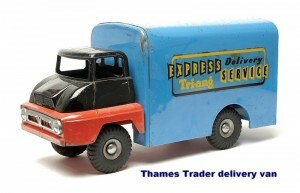 The Thames Trader cab came with two different style grilles, the early version was a simple pressed plated grille with headlights included whereas the later version had actual working electric headlights. This second version being by far the harder to find especially in working order.Unfortunately yours is the more common first version. 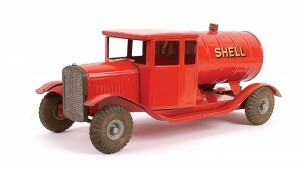 The fire engine has a rotating and extending turntable ladder and originally came with a model of a fireman and also I believe included a fire-hose, although I have not seen that on any engine. Later versions also had plastic windows. 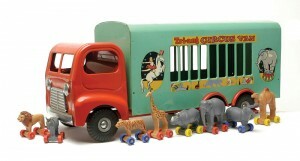 Todays price unboxed for first versions depending on all the usual conditons c£30/£40. 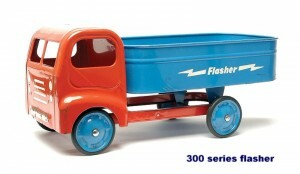 Hi sorting out the loft come across truck similar to the 200 series in your photo gallery not in such good condition would it be of interest to anyone. 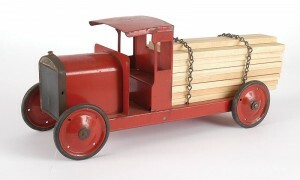 Sorry my english is not so good,i want an cabine from an Bedford Lorry from the year 1937-1954.Please send an answerd . 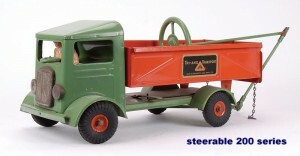 Sorry do not have any of the Triang steel models or spares in at present, but will keep your details and message you if anything comes along. 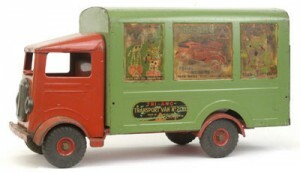 Great site just wondered if you know where I can get spare parts for a Tri-ang circus van (lorry) 1960′s I need the head lights. Many thanks if you could reply to my email address I have spent hours on the net with no joy! 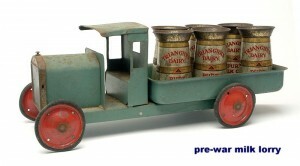 Hello Steve, try dinkyclub.com, not sure if they can help but I know they do some Tri-ang spares. Also I have never dealt with these people so cannot personally recommend them. please do you something for me or somebody who can help me ? 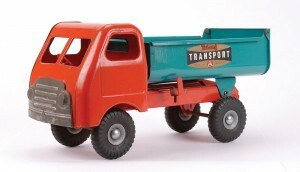 Sorry to say I don’t know anyone who offers a comprehensive range of spares for the Triang pressed steel range of vehicles but you might try triang.nl who do some replacement grilles but I haven’t come across anyone in the UK. Hi did any of the large steel double deck route masters have a driver & conductor.The reason I ask is because mine have holes in both the cab seat & a slot on the platform.Theres also a bracket welded underneath the platform.Would this have anything to do with the bell? Melvyn, as far as I am aware the large pressed steel Routmasters never had a driver or conductor fitted (no doubt someone will contradict that statement !) I thought you might have mis-represented the holes for where the rear staircase was fitted to the platform and where the cab seat was located but you say yours has the drivers seat in place so I am at a loss on this ! and yes there should be a bell fitted to the underside fitted with a pull cord.